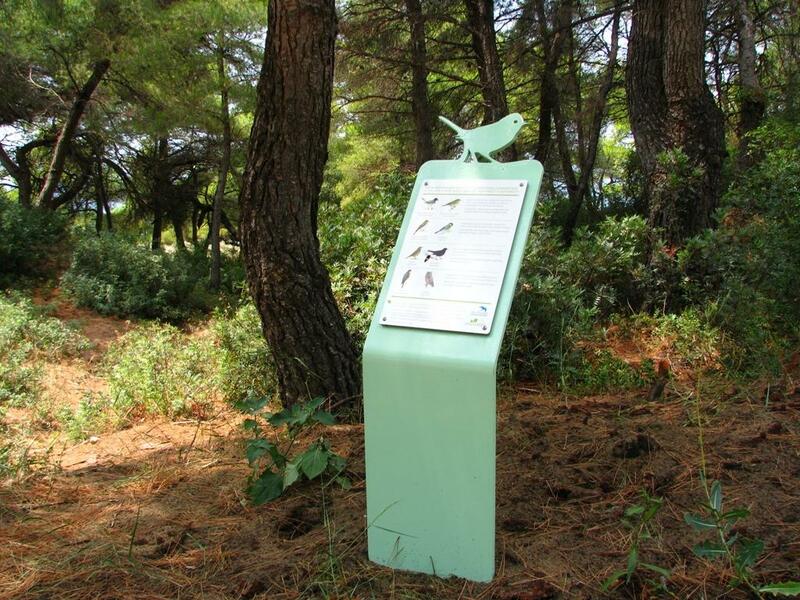 Sani Resort within the Sani Green program organized special events that lasted 3 days, in cooperation with with the Hellenic Ornithological Society and Action for the Wildlife, on the occasion of the international celebration Eurobirdwatch. 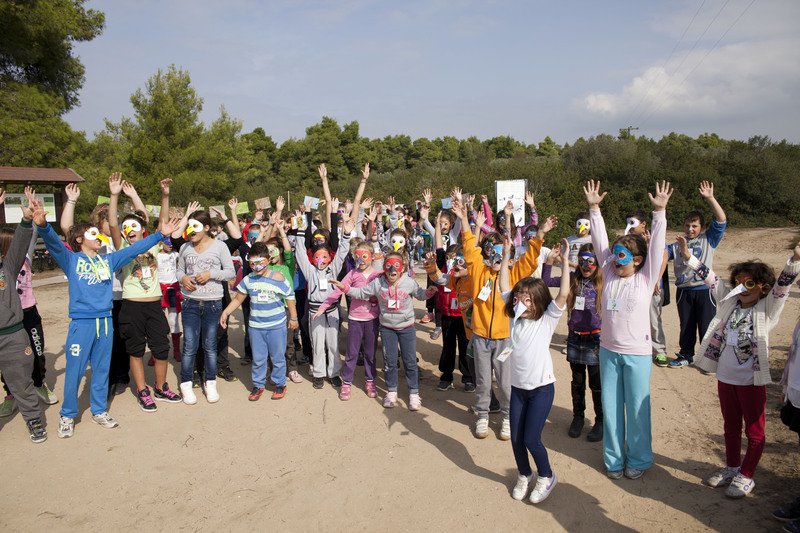 In favour of the protection and the sustainability of the Sani Wetlands, the events took place on Sunday 13th for the guests of the Resort and the public, on Monday 14th for the Elementary school of Afytos and on Tuesday 15th for the Elementary school of Nea Fokea. 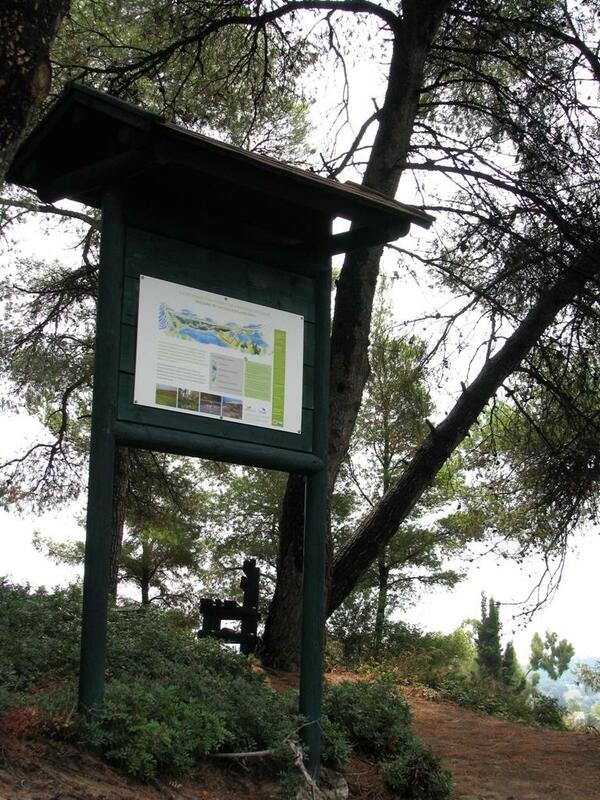 The events incuded guided tours and bird watching, environmental education activities, wildlife photography exhibition and the reintegration of two former injured birds – a Short-toe Eagle (Circaetus gallicus) and a Herring Gull (Larus argentatus) – in the wild. 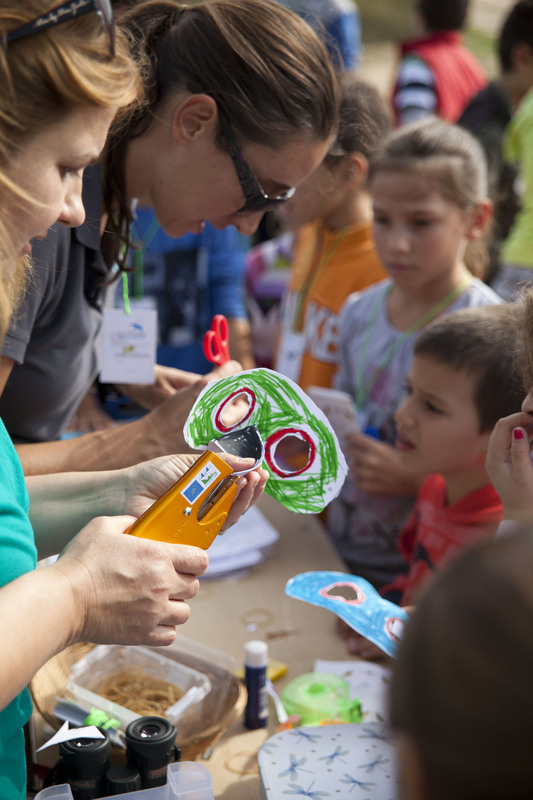 More than 300 people took part on this three-day celebration, some coming even from Athens! Children as expected, enjoyed everything more and learnt a lot about bird life and their habits through games and handicrafts. The Short-toe Eagle caught mostly their attention as they watched it fly again in awe. 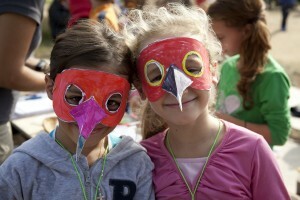 When the time for them to leave arrived, one could see their happiness while they were carrying their hand-made bird masks. 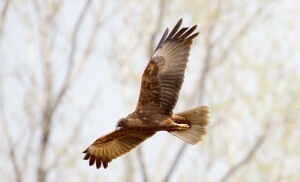 As I went for a bird watching tour in lake Stavronikitas last evening, I came across an unexpected but beautiful surprise. 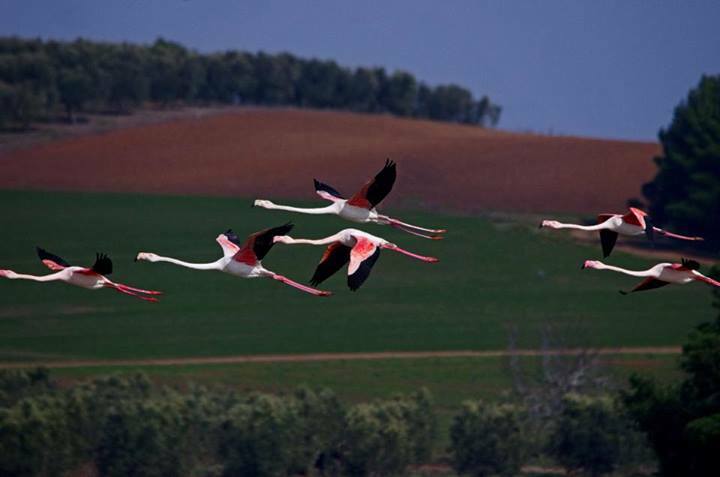 Pink flamingos (Phoenicopterus roseus) are the newest guests of honor in Lake Stavronikitas! 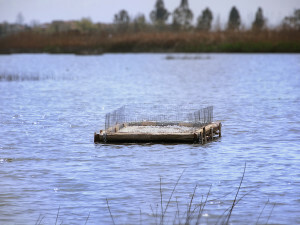 These exotic birds that can be often seen standing on one leg, will be staying at the Sani Wetlands until April according to the Hellenic Ornithological Society. 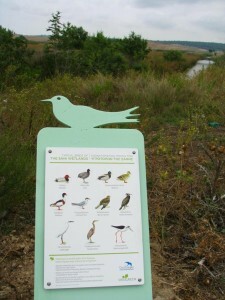 It is a unique chance for nature lovers to visit the wetlands and observe these beautiful birds. Sani Resort offers the opportunity to its guests to admire the birds and the unique biodiversity of the area, by following one of the suggested routes to the wetlands. 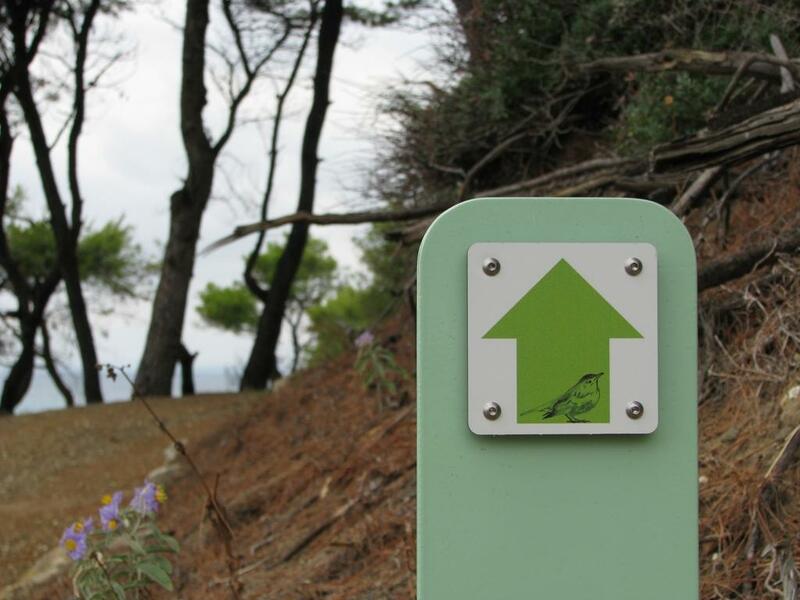 For this activity, Sani Resort in association with “Action for Wildlife”, a Greek NGO, protects the wildlife of the area through an admirable program. 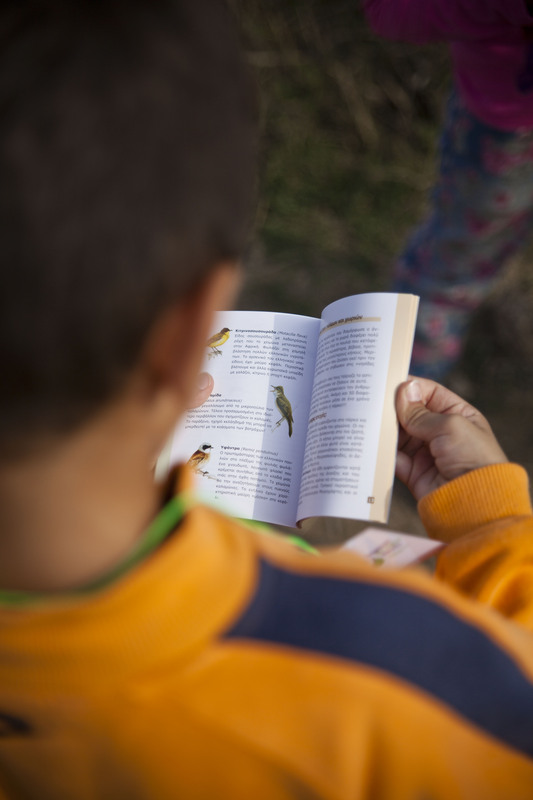 In addition, Sani Resort offers to the guests participating in this activity, a free deluxe edition of the book “Sani Wetlands: a Bird’s Sanctuary”. 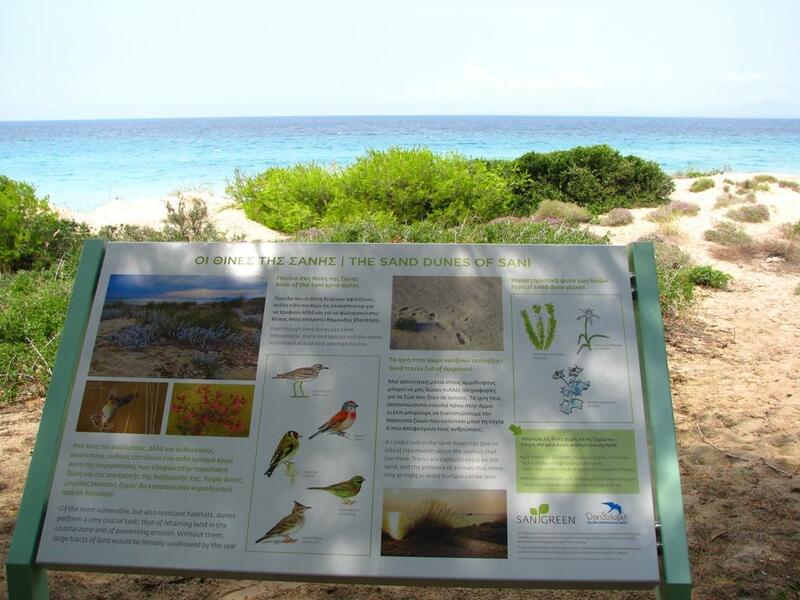 Sani Resort in collaboration with the Hellenic Ornithological Society, has completed the placement OF the new “Sani Wetland” signs in strategic points along the path leading to the Sani Wetlands. 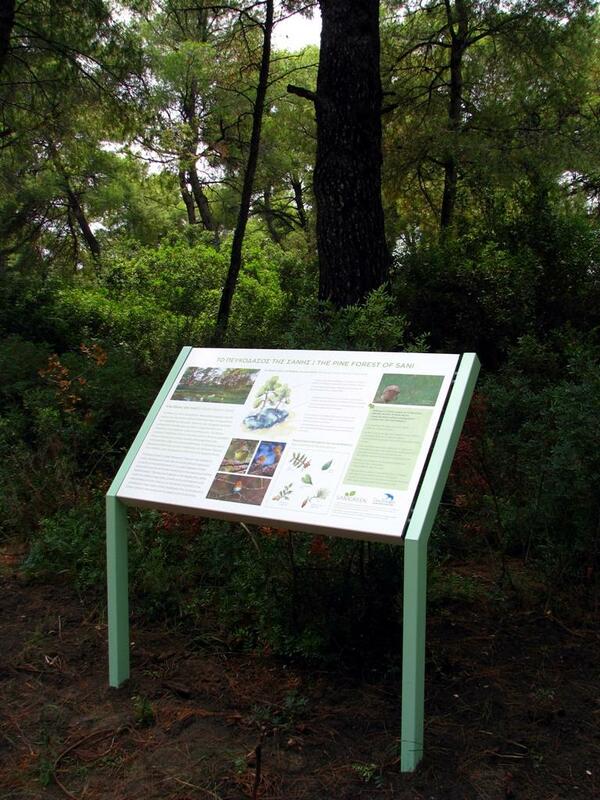 This action is part of the Sani Wetlands project and our partnering with Hellenic Ornithological Society: All signs include information for the area and its importance, the birds and other habitats of the wetlands, the birds-visitors during the 4 seasons, the forest, the sand dunes and how guests can enjoy the area without harming it. We are very proud of this new installment because the signs are NOT ONLY very informative, but they also match the surroundings beautifully. April is the breeding season for water birds and, during our monitoring of the bird populations, as part of our ongoing conservation study, we were finally able to confirm the breeding of the endangered “Kalamorkikos” (Circus aeruginosus). 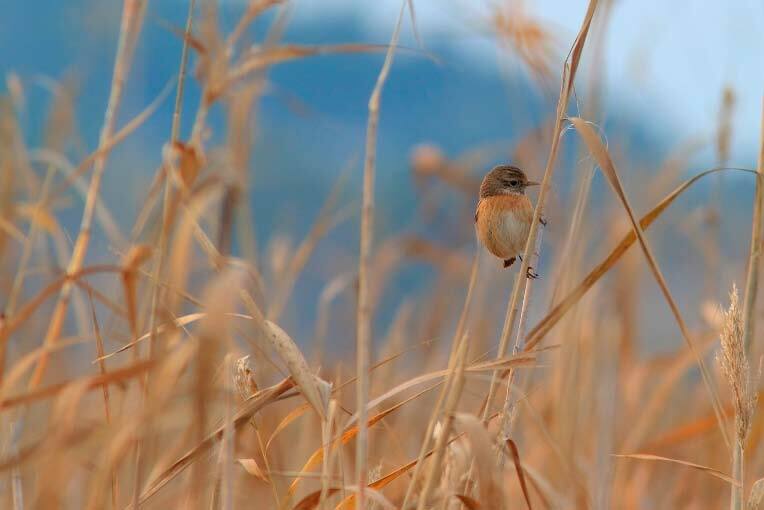 We also saw signs of nest making in the reeds –we hope to confirm in the next samples our conservationists will take. Your help has made this discovery possible! 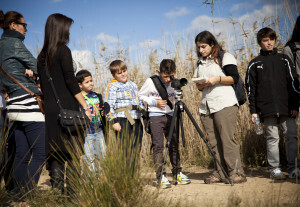 We doubled every euro you donated to the project to continue our studies and protection measures in the wetlands. With the support of the experts, The Ornithological Society of Greece, as well as Mr Stavros Kalpakis from “Action for Wildlife”, our company will further invest in ensuring programmes are carried out in order to protect this invaluable biodiversity and ensure we can admire it for years to come. We care! 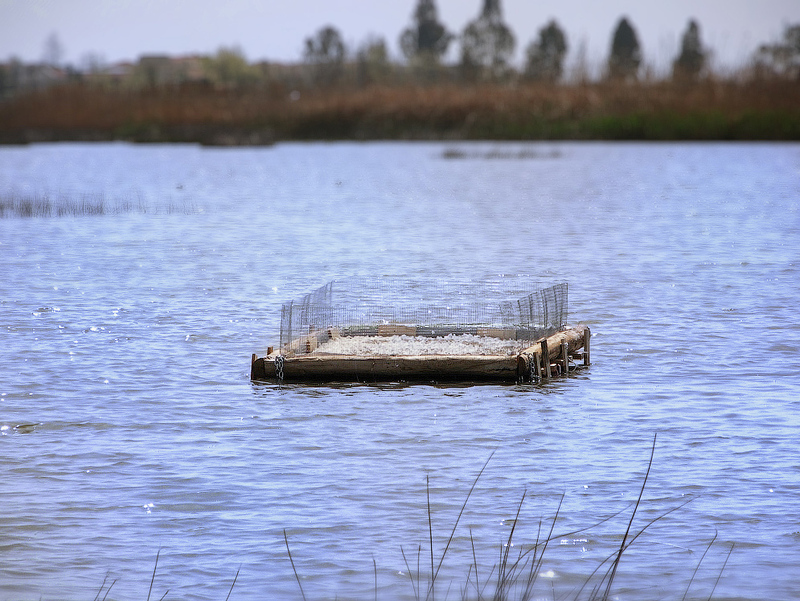 In the Sani Wetlands we have created artificial nesting platforms for endangered bird species. 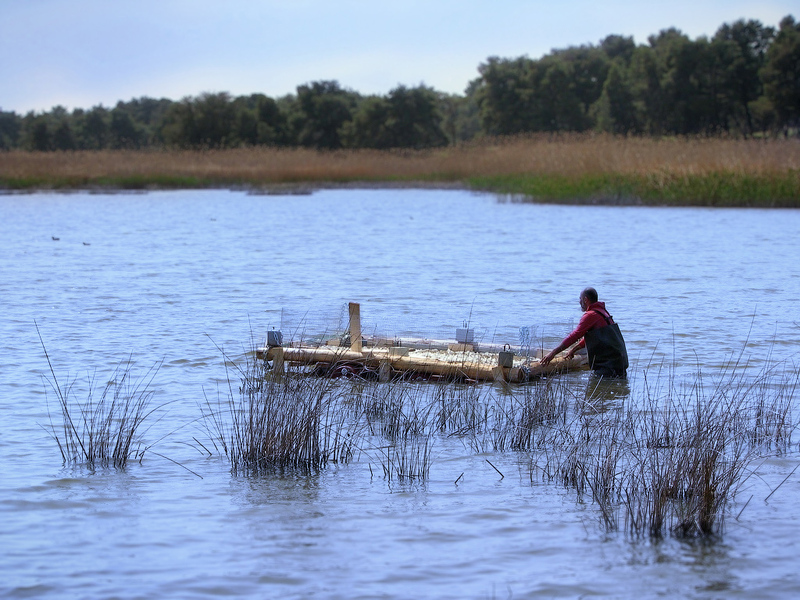 These nests have been being placed over the weekend in the wetlands, part of our partnership and programme with Elliniki Ornithologiki, partners of Birdlife and the bird expert NGO in Greece, with whom we are working on to preserve the area. Bird Watching in the Sani Wetlands! An education program with the Elementary school of Fourka-Kassandrinou. This year we continue to expand our Sani Green initiatives to preserve and protect the environment that surrounds Sani. 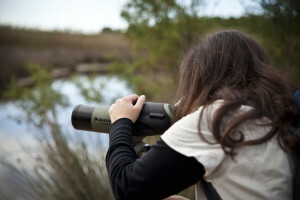 For the first time, Sani will be offering guests a chance watch some of the amazing birds in the Sani Wetlands area. 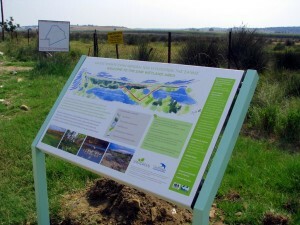 Bird lovers can now visit the Wetlands on a private tour and admire the amazing wealth of birdlife. 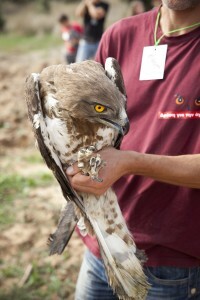 To make this possible we have joined forces with the Action on Wildlife group, a non-profit organisation that protects and rehabilitates injured birds. Guests will be able to witness bird rehabilitation and the wild bird release program in action, a must see for bird lovers of all ages. 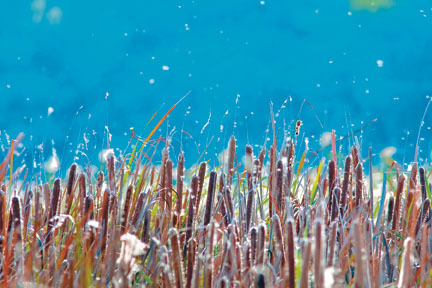 As a memory of this fantastic experience, Sani Resort has published the “Sani Wetlands” coffee table book which will be complimentary to all guests attending the tours. 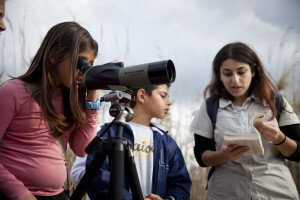 Sani Resort, together with the Hellenic Ornithological Society and Action for the Wildlife, is taking part in EuroBirdwatch 2011 and invites you to join us in a unique nature experience at the Sani wetlands! 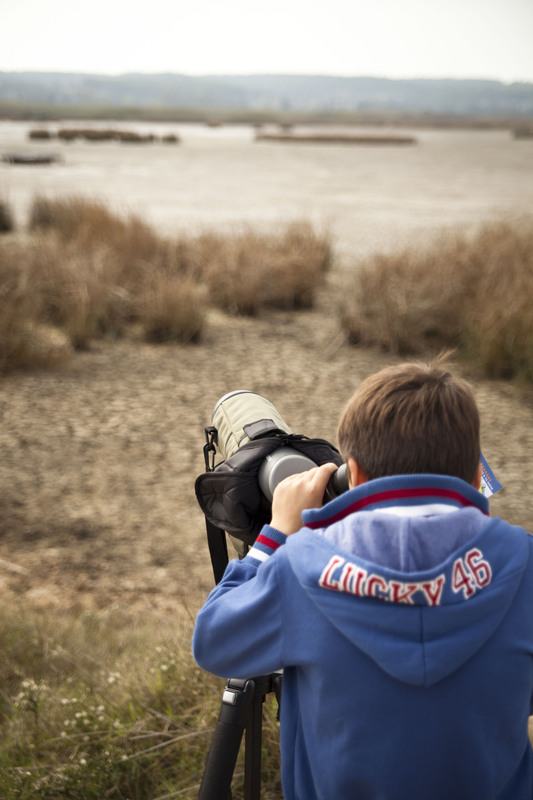 Eurobirdwatch is the biggest birdwatching annual event, comprising of activities organized by BirdLife’s national partners in over 30 countries over one weekend. 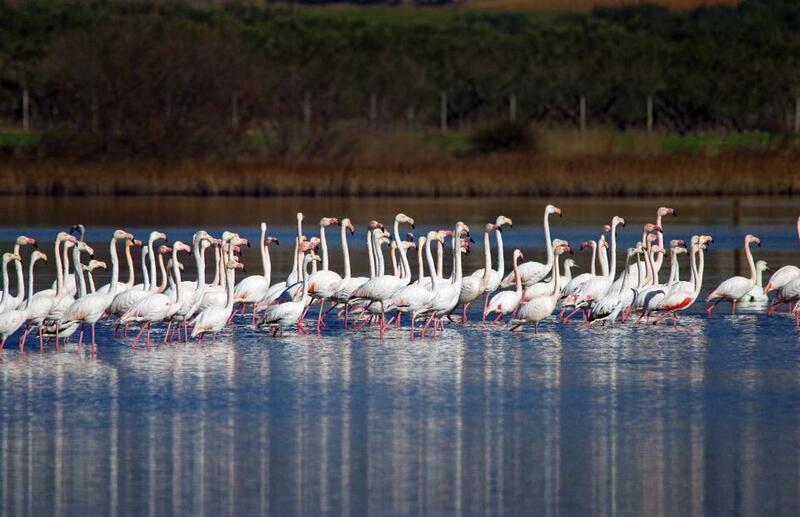 Right next to our hotels is a different world, the Sani wetlands, which is a natural treasure, home to close to half of the total of bird species in Greece! Over 200 species of birds can be found there, many of them rare and endangered. 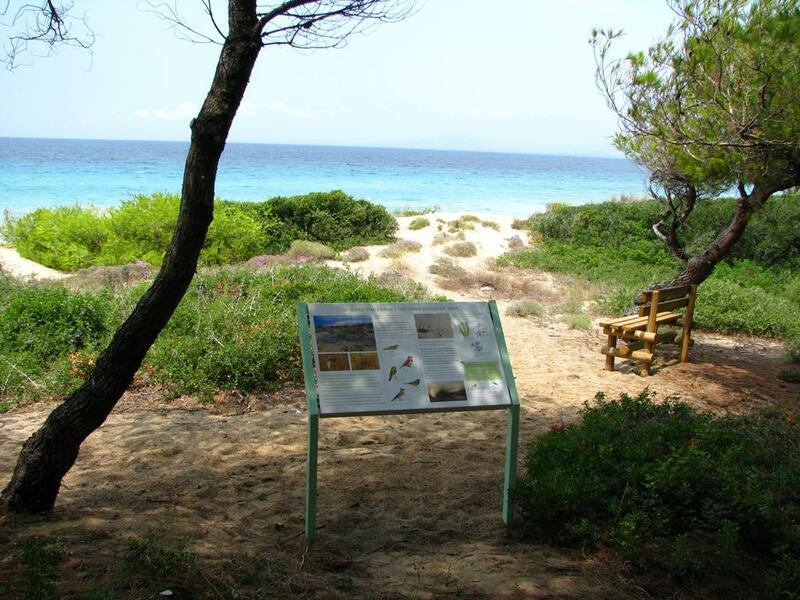 With the University of the Aegean, we have worked on documenting the species of birds in the area and develop a plan for their protection. We invite you to join the experts of the Hellenic Ornithological Society – partners of BirdLife International, the greatest world organization concerned with the protection of birds – for a guided panoramic birdwatching experience on Sunday, October 2nd. You will be led to the highest point of the wetlands, where with binoculars and telescopes you will enjoy a unique experience with the birds. 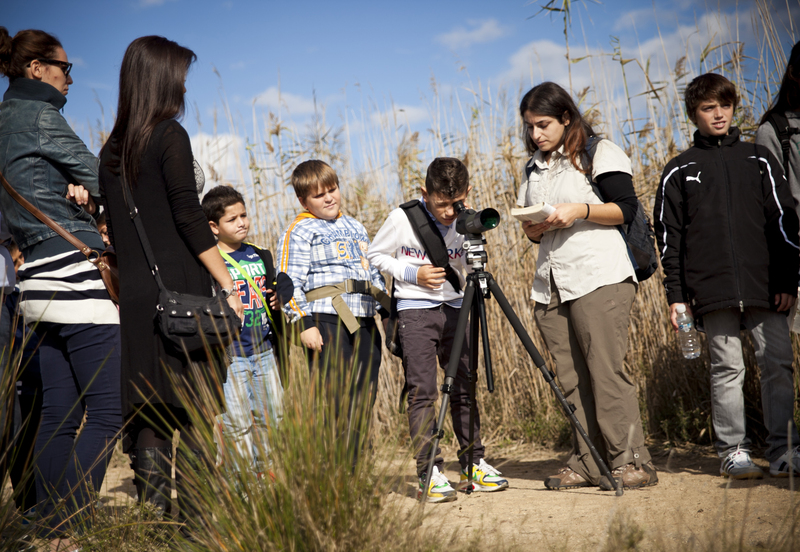 September’s observation of birds and sampling in the Sani wetlands completed the year-long project. 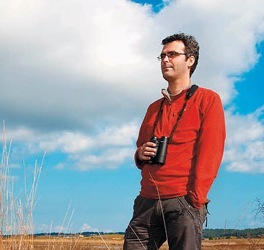 Until now 214 species of birds have been recorded, a number that shows the high biodiversity value of this particular area. 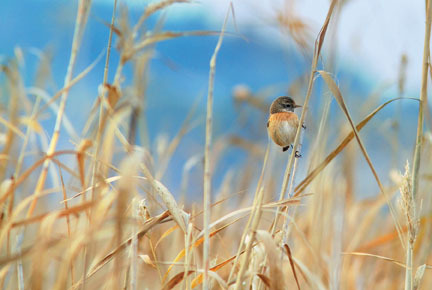 September is a time when many species of water birds are recorded migrating south. One of these is the garganey, a species of which dozens of birds were recorded (a total 119). Moreover, malards, coots, wigeons, shovelers, pintails, teals, pochards, ferruginous ducks and little crebes were also recorded. 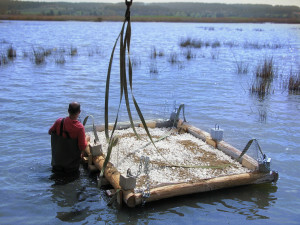 The population of coots and little crebes was significantly increased from July to September (from 426 to 1559 coots and from 134 to 320 little crebes). This increase is probably due to population movements from neighbouring wetlands in Northern Greece. In September autumn migration reaches its peak for many heron species. The largest population recorded in this period was that of little egrets, of which 412 were recorded, closely followed in number by the grey heron population. 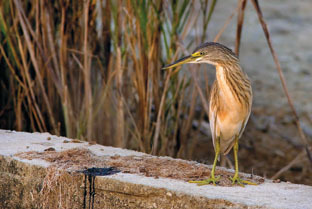 The number of purple herons observed, 42, is also considered remarkable; this species is usually recorded in smaller numbers of a few or solitary birds and the sightings of larger gatherings, like the ones observed in the Sani wetlands, are very rare. Many species of water birds were recorded travelling south. The most common were the spotted redshank, the wood sandpiper, the little stilt, the curlew sandpiper, the greenshank and the black-winged stilt. 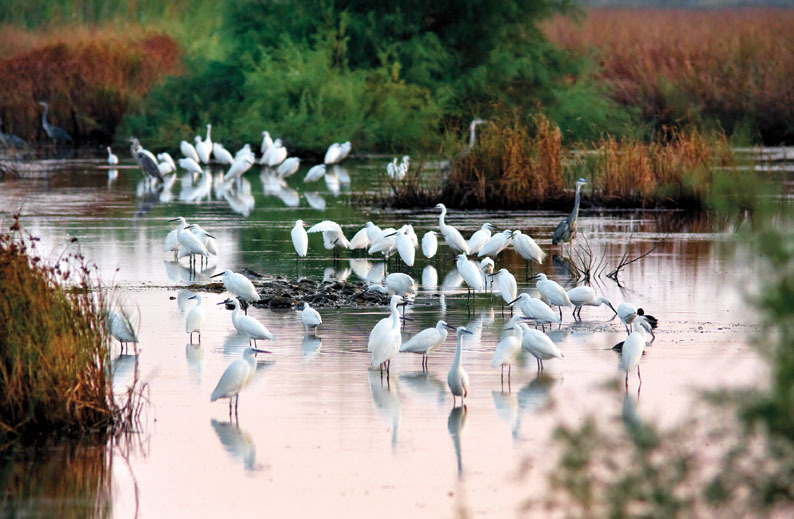 The most important sighting spots for the water birds were the northwest and the southeast section of the Gerani wetlands, as well as the north section of the Stavronikita wetland where there are many grasslands and low, muddy growth. 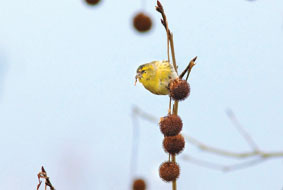 Migratory birds in their trip to Africa were also observed among the passerines. 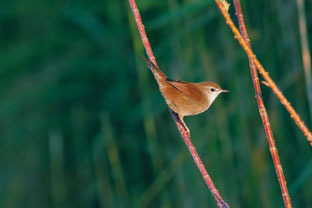 The presence of the following was relatively frequent: the red-backed shrike near the grasslands and pine forest edges, the yellow wagtail in the wetland areas that were overflowing with water, the turtle dove in sunflower fields, the wheatear, the short-toed lark, the tawny pipit and whinchat in clear fields, the reed warbler and sedge warbler in the reedbeds and lastly the willow warbler and spotted flycatcher in the pine forests and tree-covered farmland. 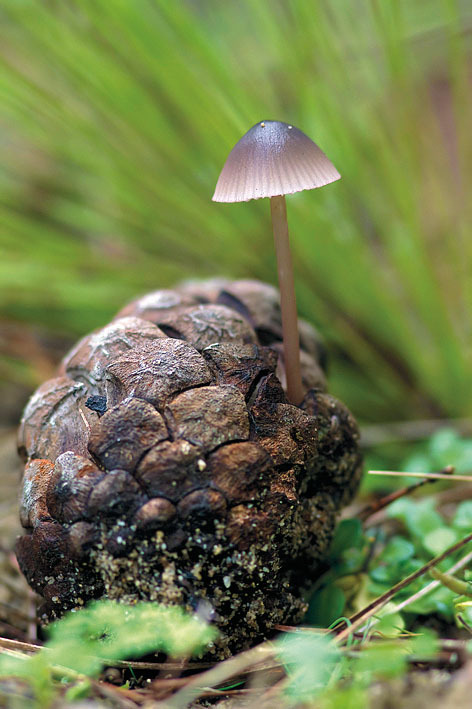 During the month of August, 87 species were recorded. Two of these were observed for the first time in the Sani wetlands, raising the number of total species from 208 to 210. 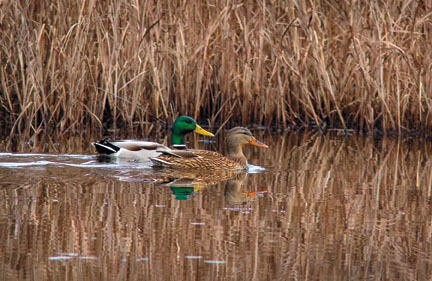 August marks the beginning of the migration and dispersion period for many species of water birds. We noticed the arrival of duck species from further north (Central and Northern Europe), such as the wigeon, the pintail, the teal and the shoveler. The species with the largest population was the garganey, for which flocks of dozens were frequent during all observation days. 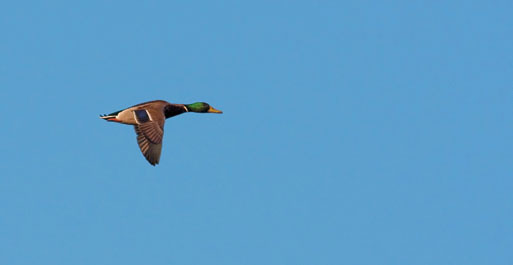 This species of duck is quite common in Greece during the spring and autumn migration season. Seven different kinds of heron were spotted. 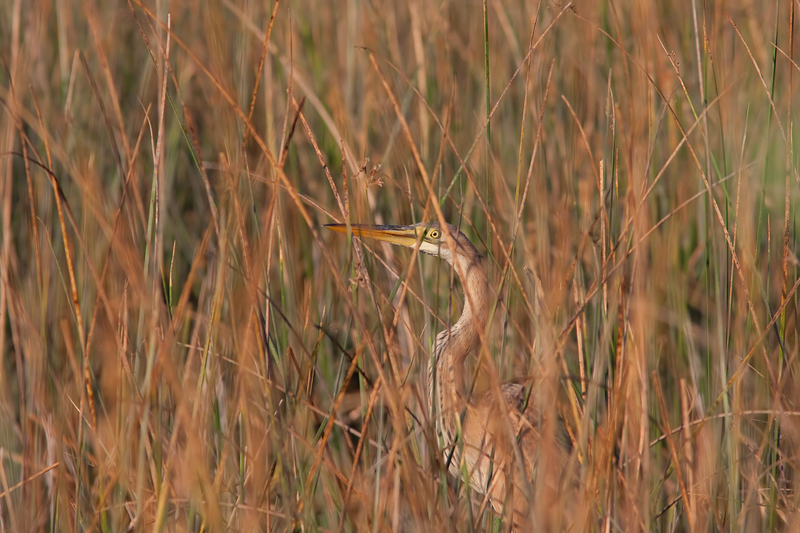 In August, many herons species congregate in large flocks in preparation for their migration south. 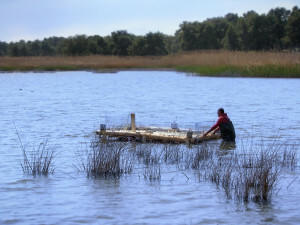 These gatherings take place in wetlands that are rich in food (fish and amphibian populations). 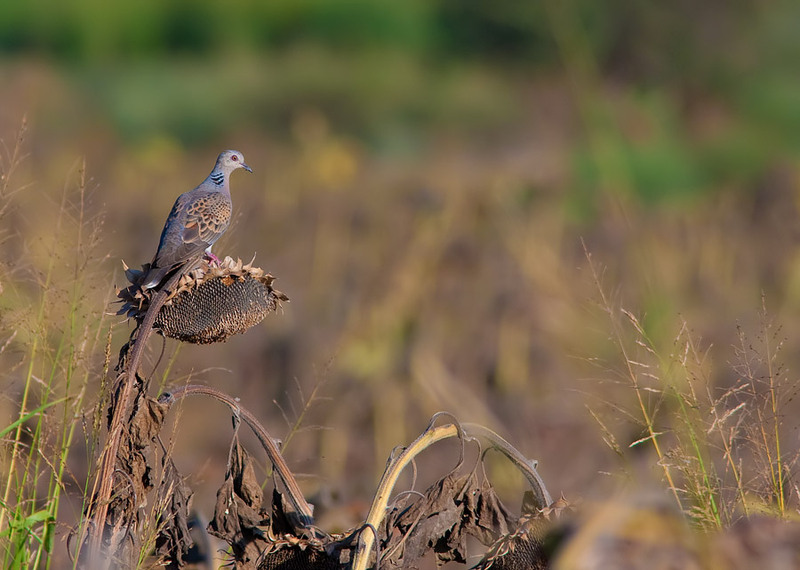 Birds remain there for two or three weeks in order to collect supplies before leaving on their long and tiring trip towards the south. The Sani wetlands are such a place and despite their relatively small size they host many herons during summer. Indicatively, in August 163 little egrets, 94 grey herons, 22 squacco herons, 18 purple herons, 12 great white herons and 5 night herons were recorded. 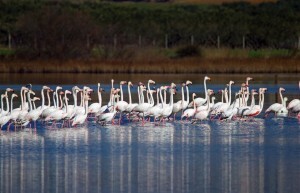 The presence of a flock of 32 spoonbills was also considered important. 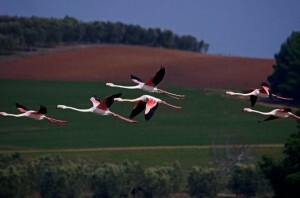 In late August migration for many water birds reaches its peak. 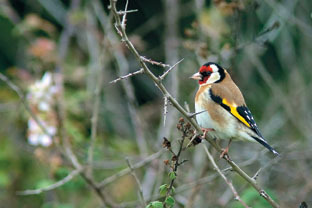 The variety and the population of birds was wide and 20 different species were recorded. The most numerous of these, in terms of population in flocks, were the black-winged stilt, little stilt, wood sandpiper, greenshank and curlew sandpiper. The enormous variety of species was completed by marsh sandpipers, redshanks, spotted redshanks, black-tailed godwit, turnstones, common sandpipers, green sandpipers, broad-billed sandpipers, snipes, ringed plover etc. Strangely, a lapwing was also observed, although its kind is usually only found in Greek wetlands during the winter months. 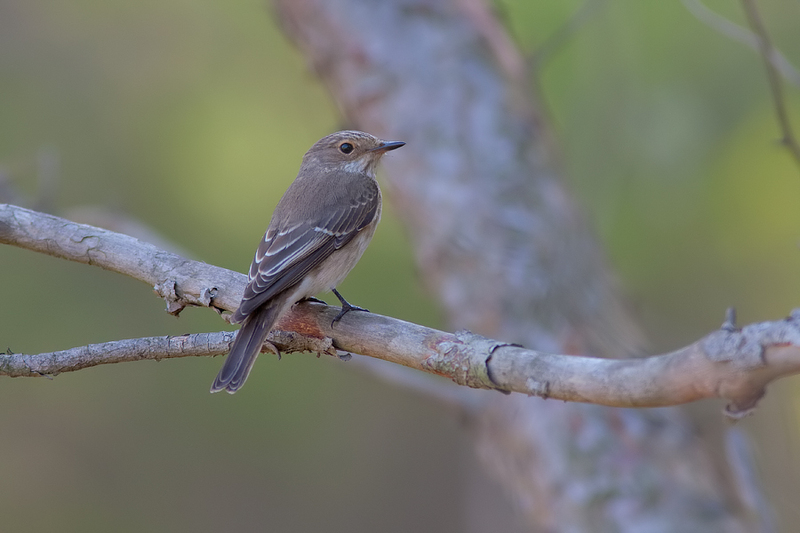 Migratory birds in their trip to Africa were also spotted amongst the passerines. On several occasions, red-backed shrikes were spotted in the pine forest’s edges, yellow wagtail in overflowed wetland lakes, turtle doves in the sunflower crops, wheatears and whinchat in the open lands, reed warbler and sedge warbler in reedbeds and willow warblers among the pines and olive trees.